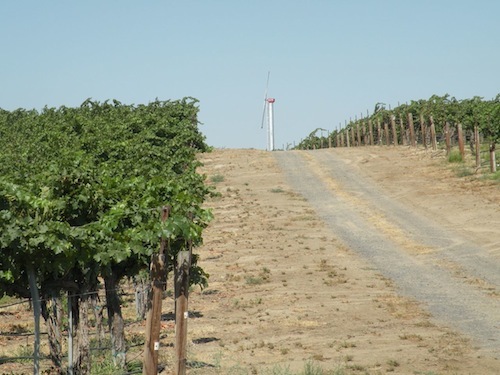 ALDERDALE, Wash. – The first plantings in Washington’s Horse Heaven Hills are still among the most sought-after grapes in the region. 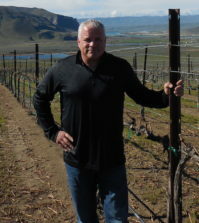 Today, Paul Champoux runs Champoux Vineyards, one of the state’s best and most famous vineyards, supplying grapes for Washington’s top winemakers, including Quilceda Creek Vintners, Woodward Canyon Winery, Andrew Will Winery and Fidelitas Wines. This story began more than 40 years ago. Don Mercer began planting vines a few miles north of the Columbia River in 1972, long before wine grapes were thought to be a viable crop in what has traditionally been a region known for all kinds of agriculture, including carrots, potatoes and dryland wheat. He called it Mercer Ranch Vineyards and planted more grapes in the late 1970s. By 1984, Mercer opened a winery by the same name, with a tasting room at the vineyard. Considering its remote location, it was a bold move – too bold. The winery closed before the end of the 1980s. In 1989, Paul and Judy Champoux arrived and took over managing the vineyard, which by that point had changed ownership. 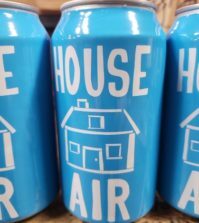 Paul grew up in the Yakima Valley and was in hops before he got a job with Chateau Ste. Michelle when it began planting wine grapes in 1979 near Paterson. Today, those plantings are part of Horse Heaven Vineyard at Columbia Crest. Switching from hops to grapes was not difficult for Champoux. Both are perennial plants used for alcoholic beverages, and both are trellised on wires. 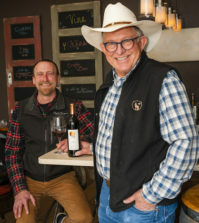 Champoux learned the vineyard trade from some of the best, including Clay Mackey (Chinook Wines), Wade Wolfe (Thurston Wolfe), Bill Powers (Powers Winery) and the legendary Walter Clore. When Champoux arrived at Mercer Ranch, the vines were in tough shape. 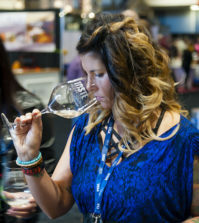 “The vineyard was pretty run down when I got here,” Champoux told Great Northwest Wine. After getting the vineyard where he wanted it and realizing its potential, Champoux thought about purchasing the land, so he gathered four winery partners to put together the deal. They included Paul Golitzin of Quilceda Creek, Rick Small of Woodward Canyon, Chris Camarda of Andrew Will and Bill Powers. Together, they bought the vineyard in 1996. 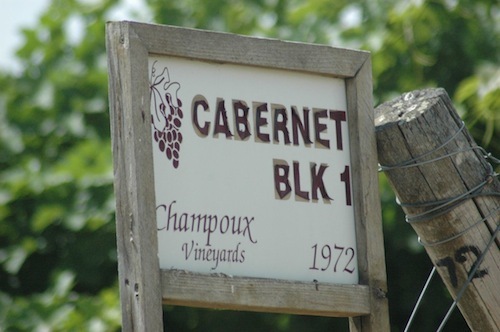 Today, Champoux Vineyards is 185 acres, 140 of which are Cabernet Sauvignon. That’s a prized grape in the Horse Heaven Hills, especially at Champoux Vineyards. Four times since the 2002 vintage, Quilceda Creek has earned perfect 100-point scores from The Wine Advocate, a highly influential newsletter, and a large percentage of the grapes for those wines came from Champoux Vineyards. 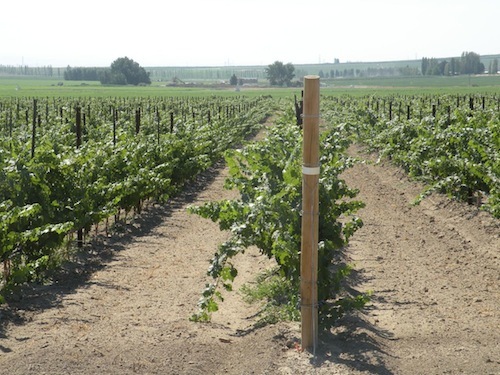 Additionally, Andrew Will makes Champoux Vineyard-designated red blends, and Woodward Canyon’s famed Old Vine Cab includes early Champoux Vineyards plantings. In fact, many wineries carry the name “Champoux Vineyards” on their label when they use his grapes because they know that can fetch a few more dollars per bottle. By 2009, Champoux was at the top of his game, growing arguably the best Cabernet Sauvignon on the West Coast. On a sunny July day, he was out in his vineyard and was bitten by a mosquito. It carried the West Nile virus, and it dramatically changed Champoux’s life. The virus mostly affects birds, but perhaps 10 percent of humans bitten by an infected mosquito will become ill, mostly with flu-like symptoms that last perhaps a week. For Champoux, it was much, much worse. On July 14, 2009, Champoux woke up with joint and muscle aches. He thought he had the flu, so he went to the hospital in Hermiston, Ore., where he was told to drink plenty of fluids and take some aspirin. By July 16, he could barely get out of bed. On July 17, he was paralyzed and was flown to Oregon Health & Science University in Portland. It took 13 days to diagnose what was wrong. Everything from Lou Gehrig’s disease to multiple sclerosis was considered. After a month, he was transferred to Kadlec Regional Medical Center in Richland, Wash., to begin rehab, at which point he could move his wrists. After he returned home, he was under care from Judy and a round-the-clock nurse. But his grapes were ripening, so he directed harvest from his bed. “My mind was still working, so I would talk to my crew with Judy holding the phone to my ear,” he said. Harvest went well because everyone – employees and winemakers alike – pitched in. By Christmas, Champoux still was too weak to raise a glass of wine – so he used a straw instead. Now, four years later, Champoux still can’t walk under his own power, as his left leg won’t quite support his weight. But he’s getting there and remains optimistic that he will enjoy a full recovery. 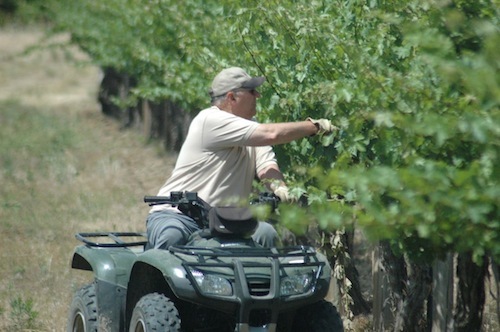 These days, he rides around his vineyard on an all-terrain vehicle and feels closer to his vines than he ever has. Because he has fewer than 200 acres, Champoux is able to drive through each row of vineyard, and he has a physical perspective he didn’t realize he needed when he was on a tractor or in a pickup. Before he was stricken with West Nile, he was one of the top grape growers anywhere. Because of the disease, he is even better. A year after West Nile knocked him down, a freak late fall freeze did the same thing to some of his oldest vines. In the days leading up to Thanksgiving in 2010, temperatures dropped from overnight lows of 25 degrees to minus-8. The sudden winter chill devastated his Circle Block, a 28.5-acre planting of Cabernet Sauvignon from 1979 that went to Quilceda Creek, Woodward Canyon and Powers. The vines were not going to recover well, so Champoux pulled them out. He worked the ground, preparing it for replanting last year. Today, he’s thrilled with the health of his new vineyard and the future of these vines. By next year, they’ll begin bearing fruit, and Champoux is confident the block will be better than it was after it gets a little bit of age on the vines.